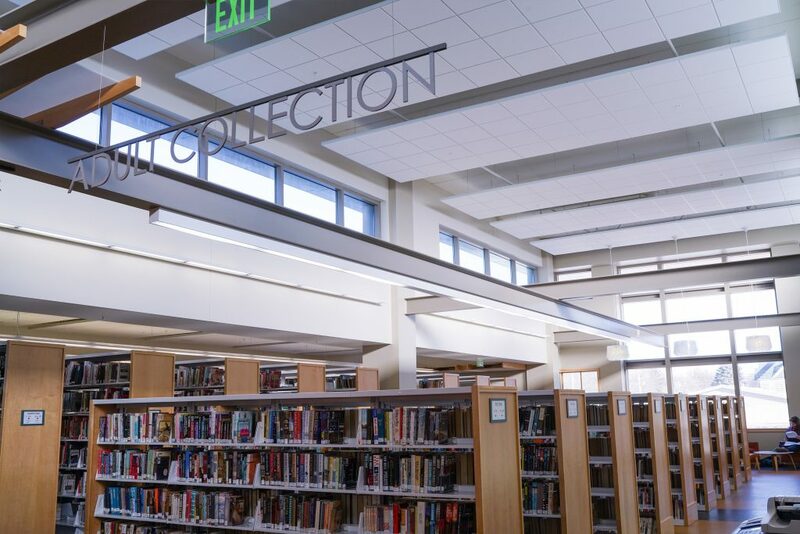 The Art Advisory Committee of Drake Community Library, the public library in Grinnell, Iowa, is issuing a Request for Qualifications from artists to design, fabricate and install a piece of public art in a large and highly visible space in the library. 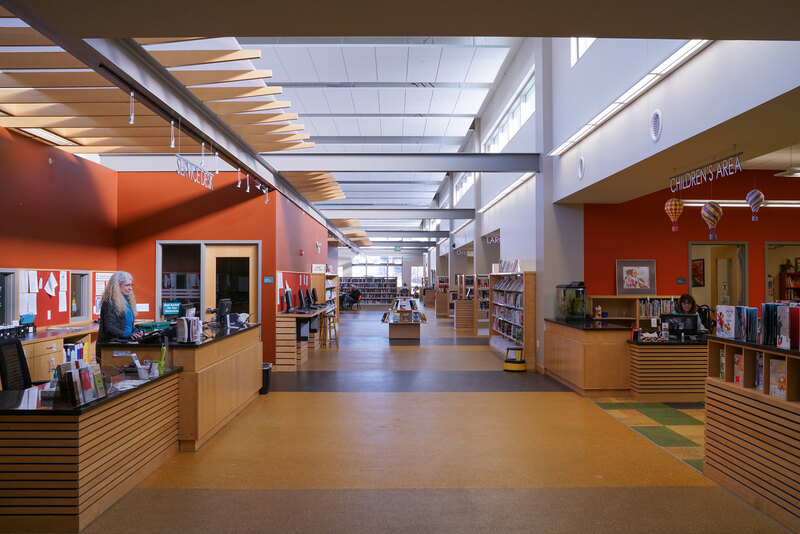 The Drake Community Library, completed in 2009, is located in downtown Grinnell and serves more than 6500 patrons during an average month. It is a beautiful contemporary building with lots of natural light. 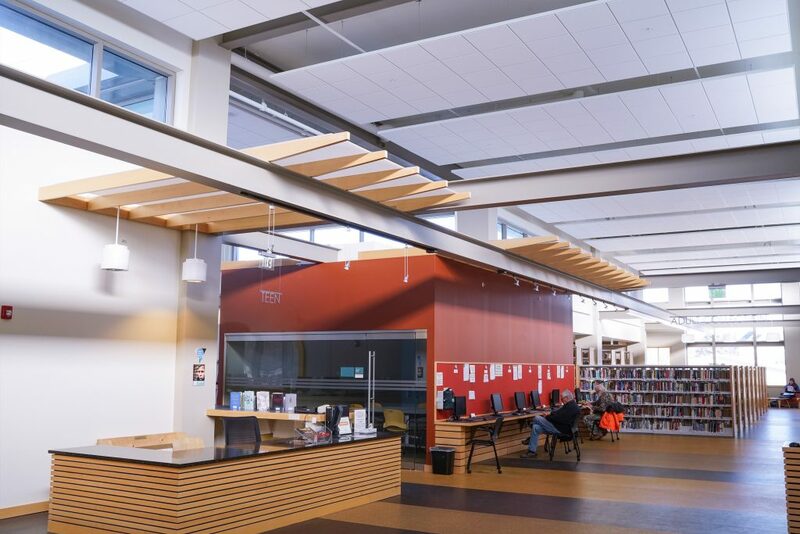 The artwork we seek will be installed above the library’s central space and will be the focal point for library patrons entering the building. The piece should be original and eye-catching. It will be a permanent installation and should require only minimal maintenance. The building’s central hall extends the entire length of the library. 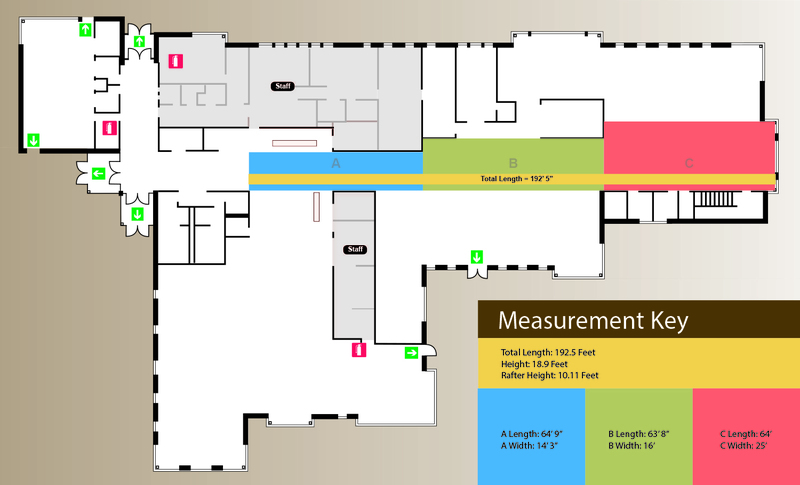 It is a total of a 192.5’ with 18.9’ tall ceilings. The high ceilings are surrounded by windows and visible structural rafters. The art will be installed in the large open space above the main central hall. The artist shall determine the amount of space to be used for the installation. The artists can develop a piece that uses the entire space, or a combination of sections A, B, and C can be used for a piece/pieces. We anticipate that the work will be overhead, suspended from the ceiling, walls, and/or rafters. The art installation must be at least eight feet off the ground so it does not interfere with the current use of the space. 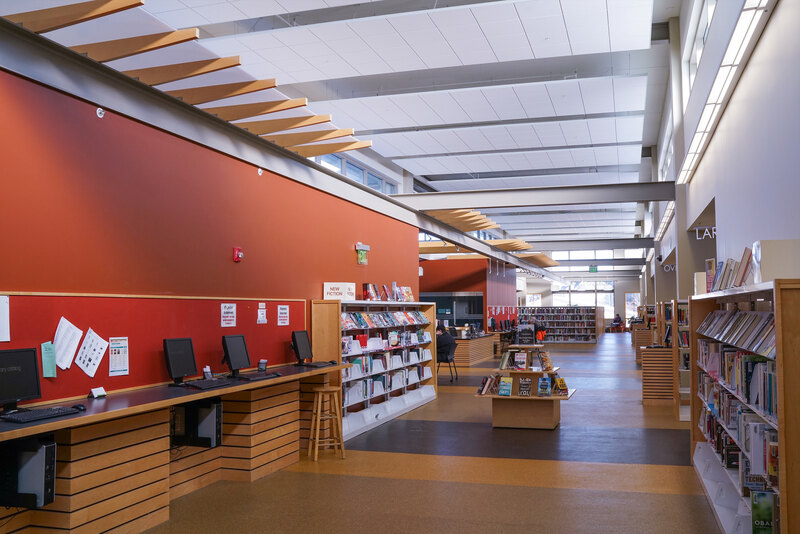 The selected artist will consult with the library’s staff, the Art Advisory Committee, and a structural engineer to ensure the safety and security of the work and of the public. This picture is the beginning of the central hall and would be included in Section A of the reference map. This image includes Section A, up to the orange wall on the left. Due to the uniqueness of the space, we encourage you to visit if possible. If you have questions or would like additional images, please contact Ryan McGuire, Drake Public Library Art Project Coordinator, at (ryan@bellsdesign.com). The project budget of $17,000 is for all expenses associated with the artwork. This includes, but is not limited to, the artist’s compensation, materials, fabrication, travel, transportation of the piece and its installation. Applicants should provide evidence of experience and qualifications for designing and fabricating the work of art they propose. They must be willing to work collaboratively with the Art Advisory Committee and the library staff. An application from a group of artists must include the qualifications of all the group’s members. Up to four finalists will be selected by the Art Advisory Committee. They will be notified that they are finalists by 3/9/18. A stipend of $250.00 will be awarded to each finalist for the time required to develop a specific and detailed proposal. These proposals are due 4/13/18. An in-person or Skype presentation by each of the finalists will be scheduled. Email a single PDF including the following information to sjohnson@grinnelliowa.gov and ryan@bellsdesign.com. Six to eight images of your artwork. Include the title, medium, date, size, and a description of each piece. All mediums are welcome. Submissions must be received by 2/28/18. If you have questions about the application process, email Ryan McGuire, Drake Public Library Art Project Coordinator, at (ryan@bellsdesign.com).